Summary: jobstatus helps keep an eye on how complex and long-running jobs, including jobs running in parallel, are progressing. The maintainers won’t have much time to extend and improve the package so they’d love to have help: if you’re keen please let them know in the issues tracker! Team: Nick Golding, Mark Padgham, Joe Cheng. jobstatus team picture by Mauro Lepore. 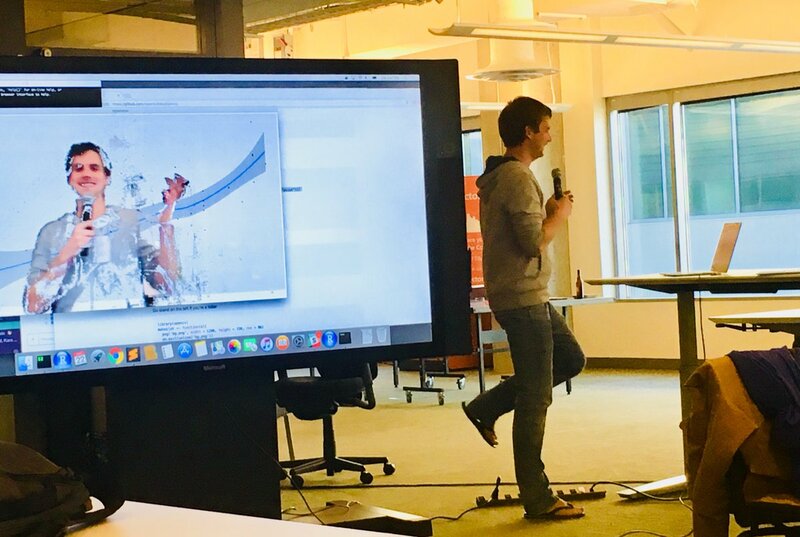 Summary: motifator is a package aiming at generating spatial motifs that replicate the ones seen in real-world data, without including any potentially identifying information. Potential applications include the analysis of the impact of spatial clustering of different levels of vaccination coverage in a model of infectious disease transmission. 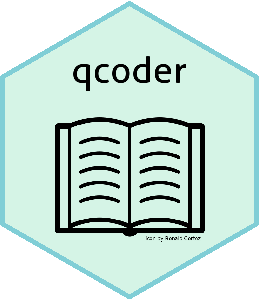 Summary: QcodeR is a lightweight package to conduct qualitative coding i.e. analysis of textual qualitative data such as text from interview transcripts and observation notes, in particular via annotating the text with tags. 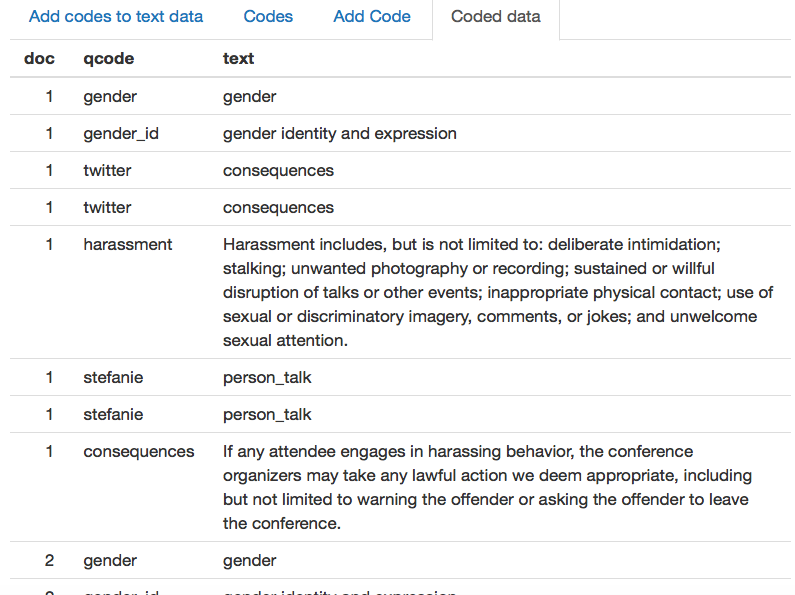 Example of QcodeR Shiny app, coded data tab, with the unconf code of conduct. Team: Elin Waring, Dan Sholler, Jenny Draper, Beth Duckles. Summary: opencv is a package wrapping OpenCV (Open Source Computer Vision Library) . Functionalities currently supported by the R package include (live) face recognition and edge detection. opencv demo picture by Mauro Lepore. Summary: trackmd is an RStudio addin for tracking changes in Markdown format, inspired by Critic Markup. Its main feature at this stage is trackmd::trackChanges() that helps one track and view changes while editing a Markdown file. Team: Sam Tyner, Zachary Foster. 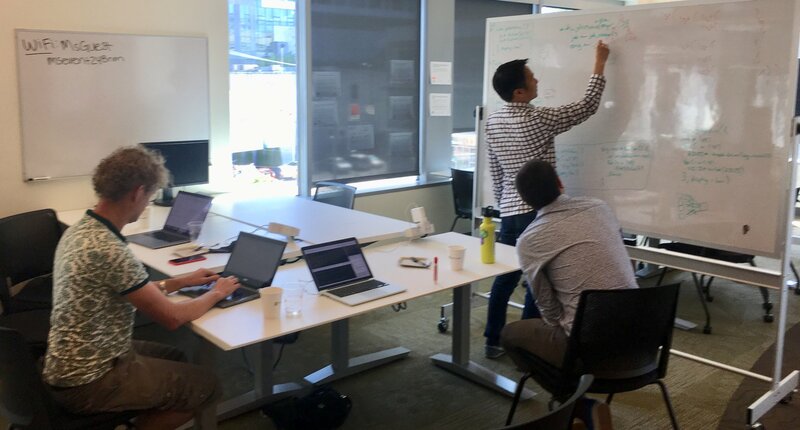 Look for the last post featuring unconf18 projects tomorrow!